Peli Cases are Plastic Cases manufactured in a very wide range of sizes. They provide very high levels of protection being Watertight Dustproof Corrosion-proof and Buoyant having undergone strict tests for Water and Dust ingress protection (IP rating) and the Air Transport Association specification 300. We have 24 hour delivery on all stock items and can arrange delivery either to our Manufacturing facility for Foam fitting or directly to you. For foam inserts that we have already designed, we can normally offer a 24 hour turnaround, others may take a little longer. 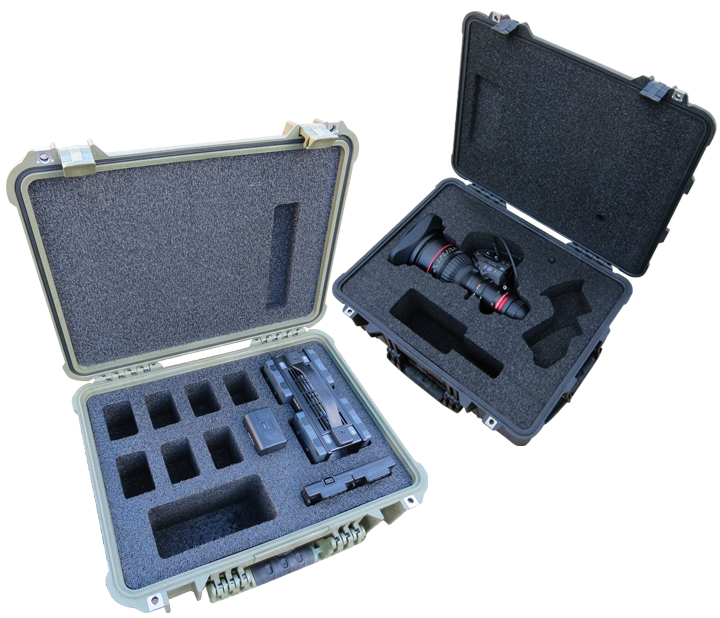 If you have an existing Peli Case that you would like a foam insert for, please do not hesitate to contact us.